4 types of Olive oil-Which one should we use&When??? What is the difference between Extravirgin olive oil&Regular Olive oil?Which do you use ,when &how??? I am sure these are the common questions which plague most of us…..so thought it was time to shed light on these questions.I recently read a story about an Israeli woman who claimed to be 120 years old and one of her secrets to living to such an advanced age is that she drinks at least one glass of olive oil a day. Thought that may sound gross to most of us,we could still improve our health by making olive oil a part of our daily diet in much better &more tastier ways. Generally when you go to the supermarket, you will most commonly see 3 types of olive oil:extra virgin olive oil, virgin olive oil, pure olive oil&light olive oil.The difference is basically in the taste&purity. Extra-virgin olive oil is naturally produced from the first pressing of olives-making it the most pure and least acidic.It also has the highest content of omega 3 , and is the best tasting of the four. The method for extracting the oil is what is known as “cold pressed,” which keeps the oil from losing its flavor that can be lost when exposed to high temperatures.As it’s expensive, heavier, and more flavorful than other types of olive oil, it’s best used as an accent to dishes , or in salad dressings and vinaigrettes.. If it’s not cold-pressed, the heat from the extraction process changes the chemistry,flavour and quality of the olive oil.Extra virgin is usually used raw&should never be heated, since its flavor is lost by heating it and it also has a low smoke point.Use extra virgin oil for beauty treatments for your skin and hair as it contains high concentrations of Vit E&Omega 3 fatty acids -hence reduces dryness of skin,dandruff and hairfall. Virgin olive oil is obtained by some application of heat and from the second pressing of olive oil.It does not contain any other refined oils but has a higher acidity — up to 2 percent. It has a fairly good olive flavour&does not burn easily, so can be used for salads or for light cooking. The name Pure olive oil is misleading as it is a actually blend of refined pomace oil and virgin olive oil. Pomace is produced by processing the leftovers of the virgin olive oil extraction. 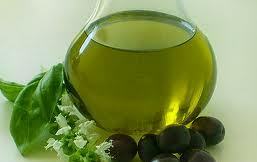 The blend (which usually contains as little as 5 to 10 percent virgin olive oil) is cheaper to produce. It is used mainly when extracted olive oil is of poor quality and the refining process helps it to have a better flavor.It doesn’t have as strong a flavor as virgin olive oils and is best suited for frying and cooking. 1.Look for bottles that say “cold press” on the label for best quality extravirgin olive oil. 2.Use Extra virgin olive oil or virgin olive oil only in the raw state-for salads,dressings,viniagrettes.Never heat it. 3.Use light olive oil for stir frying or pan frying. Because of the refining process in regular or standard olive oil, it holds up better when exposed to high heats. 4.Do not use olive oil for deep frying . It may hold up well when pan frying but has a low smoke point and will overheat when used as a deep fry. If you are looking for a healthy oil to deep fry with, canola is a good oil to try instead. 5.Bottles labeled “100 percent pure olive oil” are often the lowest quality;) Labels mentioning virgin olive oil are better products. 6.Labels saying”Made from refined olive oils” suggests that the essence was captured, but in fact means that the taste and acidity were chemically produced. 7.”From hand-picked olives” may indicate that the oil is of better quality, since producers harvesting olives by mechanical methods are inclined to leave olives to over-ripen in order to increase yield. So beware of the tricks that the manufacturers play on you to sell their products……. 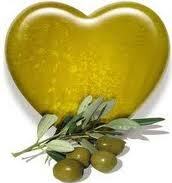 Studies have shown that olive oil helps the body’s heart remain healthy and also aids in regulating cholesterol levels. Aside from consuming olive oil, some people swear of its benefits from using it topically on the skin. In 1997, the record holder for the longest lifespan, a woman from France, used olive oil daily not only in her diet, but by rubbing it on her skin.Hence it just makes sense to choose the right kind of olive oil&make it a part of your daily diet…….